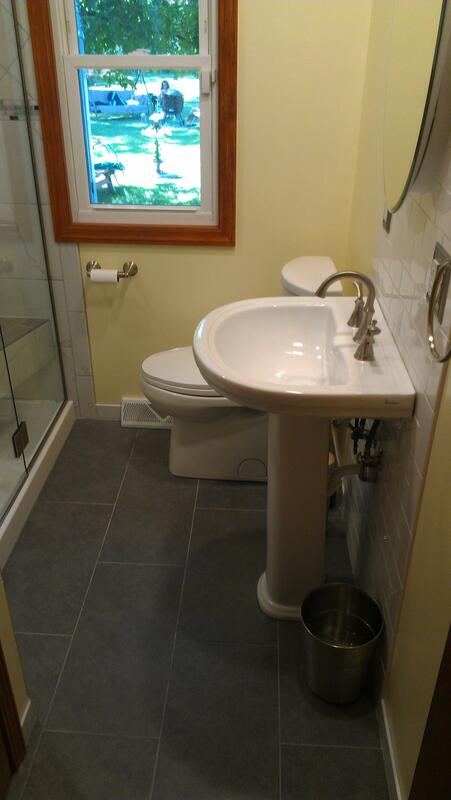 In this freshly remodeled Eastlake, Ohio bathroom the tub was removed with along a brick chimney in order to make room for a shower and a linen closet. 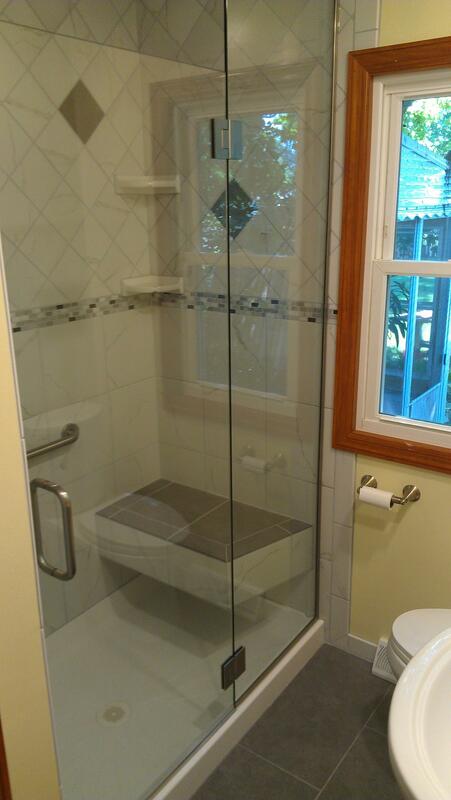 The shower received a built in seat, frameless swinging shower door and glass panels, adjustable shower head. 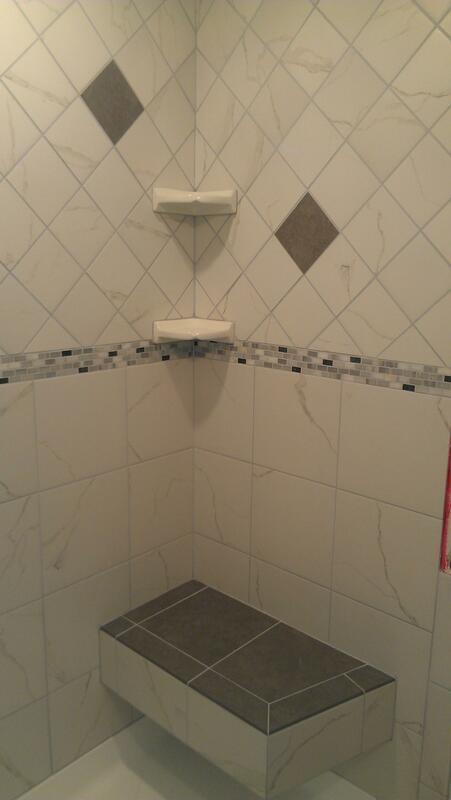 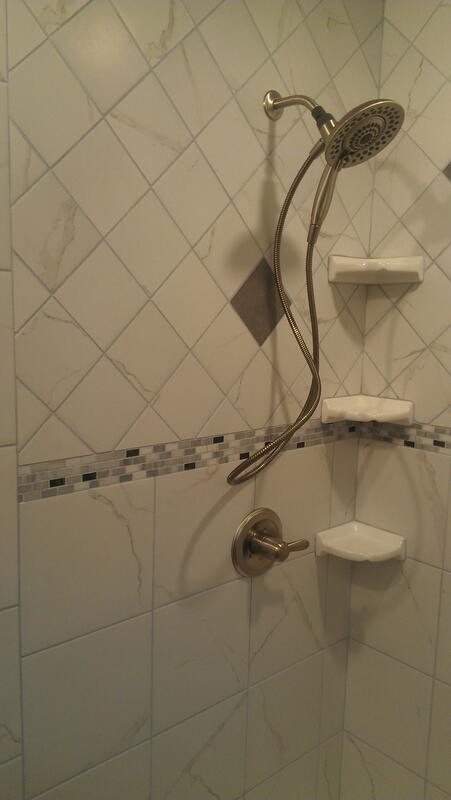 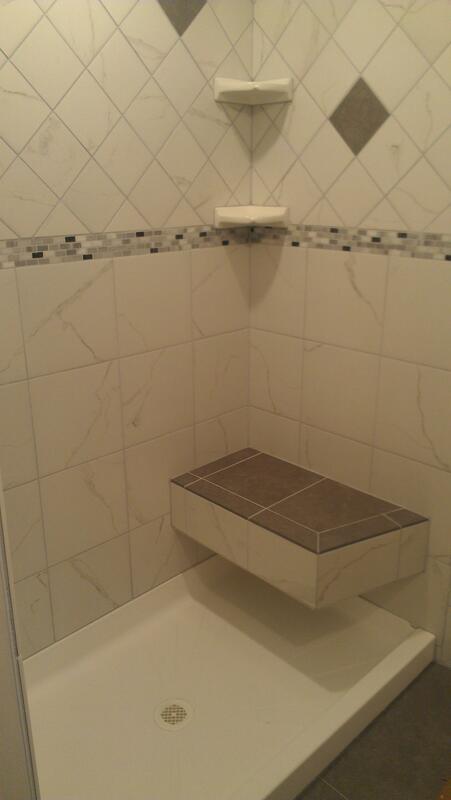 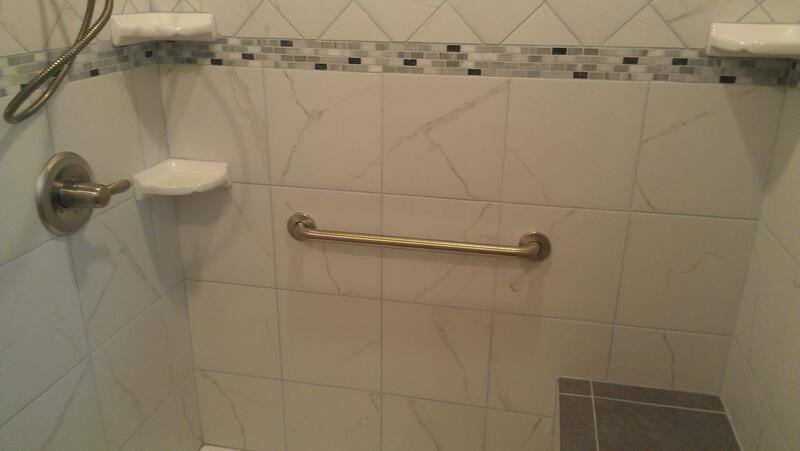 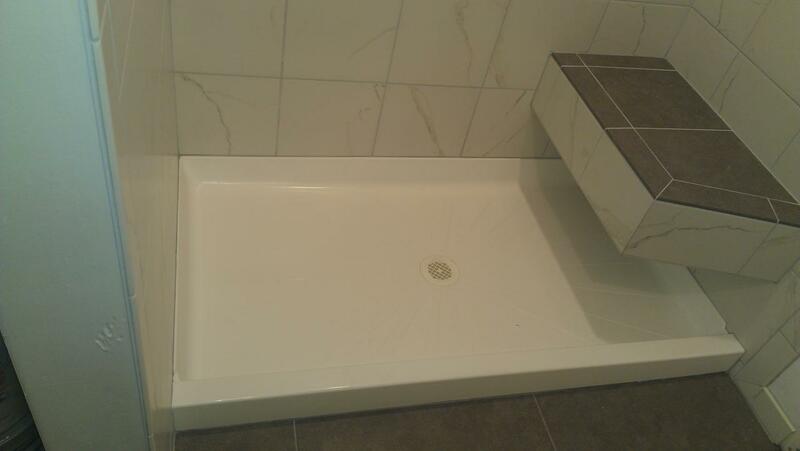 Walls and shower seat are tiled for a durable and lasting elegance. 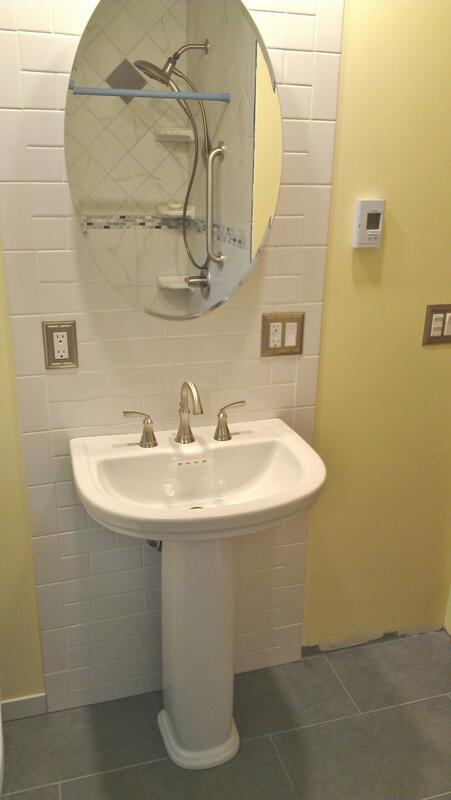 Vanity cabinet replaced with pedestal sink in order to gain more spacious look. 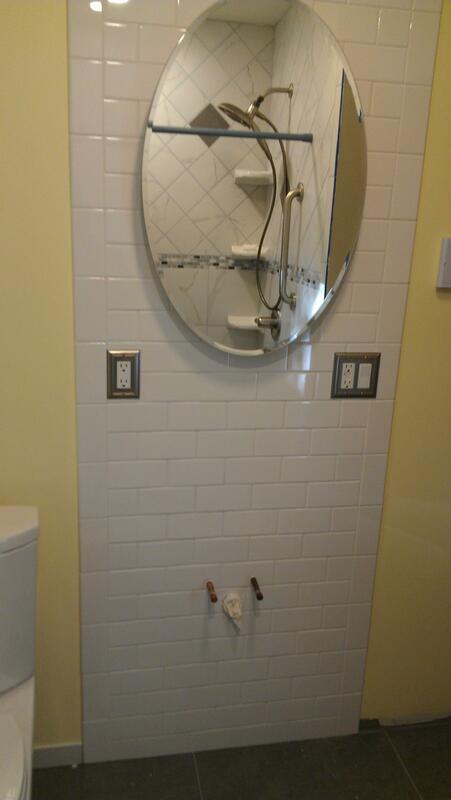 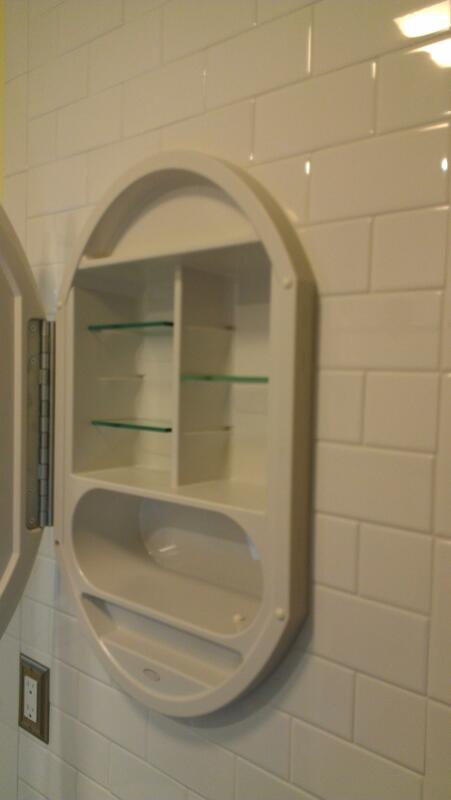 Low maintenance tile floor, and a floor to ceiling subway back-splash behind sink encompasses a well-designed medicine cabinet. 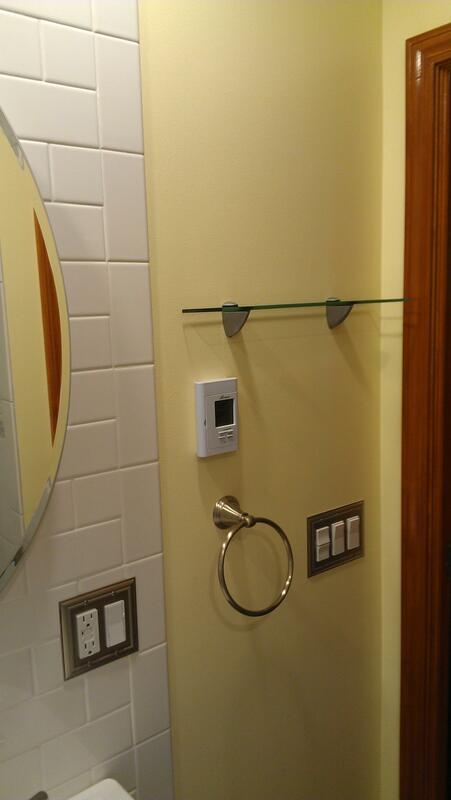 Ceiling received green energy LED lighting and a fan with light and night light built in to it.